Wychwood Blackwych Ale is a popular Ale available from DrinkSupermarket.com in 500ml to buy online. 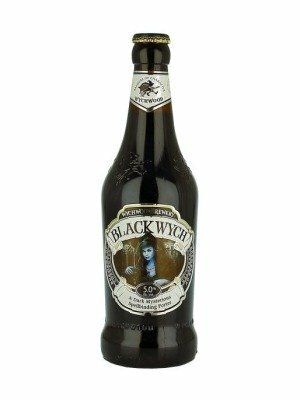 Visit DrinkSupermarket.com for the best price for 500ml of Wychwood Blackwych Ale or compare prices on our other Ale products. The key ingredients in Black Wych are Maris Otter pale malts, black malts, crystal malts, Progress hops and Target hops. Crafted in the woods of Witney, Oxfordshire, Black Wych is a dark and enchanting ale that casts a spell on your taste buds with its long-lasting bitter finish. Where to buy Wychwood Blackwych Ale ? Wychwood Blackwych Ale Supermarkets & Stockists. You can buy Wychwood Blackwych Ale online in most retailers and find it in the Ale aisle in supermarkets but we found the best deals online for Wychwood Blackwych Ale in DrinkSupermarket.com, and others. Compare the current price of Wychwood Blackwych Ale in 500ml size in the table of offers below. Simply click on the button to order Wychwood Blackwych Ale online now.